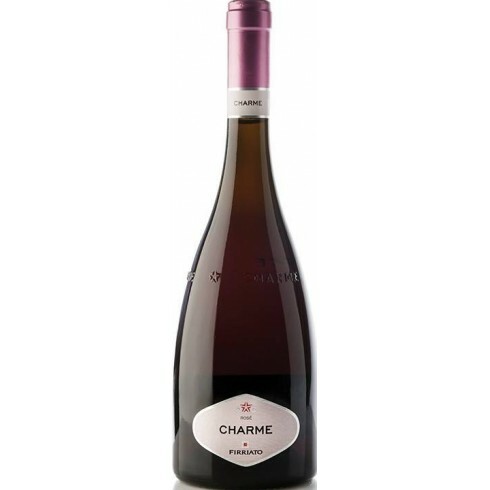 Charme Rosè Terre Siciliane from Firriato lively sparkling partywine. Pairs with Ideel for aperitifs and parties. Serve at 8-10 C.
Charme Rosè is the delicate gift that Borgo Guarini reserves for lovers of Sicilian native vine varieties. On some slopes of this hill, immersed in the Trapani countryside, native Sicilian black grape varieties are selected and harvested slightly before they have fully ripened in order to protect their aromatic properties and acidity. The regular vinification of the white grapes comes into brief contact with the skins of the black grapes giving the wine its characteristic, pleasant pink colour. The successive sparkling process enhances this union making Charme Rosé so shiningly extrovert. 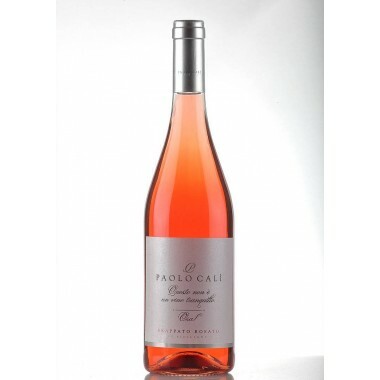 Its silky bead introduces enchanting aromas that are enhanced by its fresh, fragrant flavours - a wine full of character, the ideal accompaniment to carefree moments. Color: Fine and delicate rosa goseberry color. Bouquet: A profusion of airy and elegant fruity sensations of tamarind, red plum, watermelon, pomegranate, strawberry and raspberry variegated with hints of rose, freesia, violet and cyclamen. Taste: Surrounding, intense, and extraordinarily balanced, it reveals its character blossoming with lively freshness and soft creaminess evoking and disclosing its typical wide and rich aromatic array revealing a hint of mild and subtle tannins of great value.